A study published in Behavior Genetics suggests that sperm whale groups are made up of individuals that use the same dialect, rather than those that come from a similar area of the Pacific. 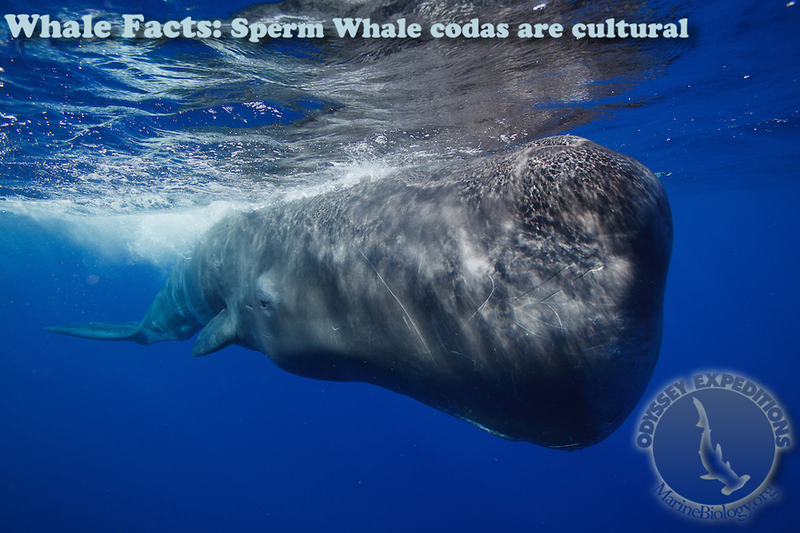 In the Pacific, sperm whales belong to one of five clans. Each use a different dialect made up of a different handful of similar Morse code-like patterned clicks called codas. The clicks may be employed to communicate that they belong to a particular pod and to maintain social bonds. The whales create the sounds in the “big tub of oil at the front of their huge heads”, explained Luke Rendell from the University of St Andrews. 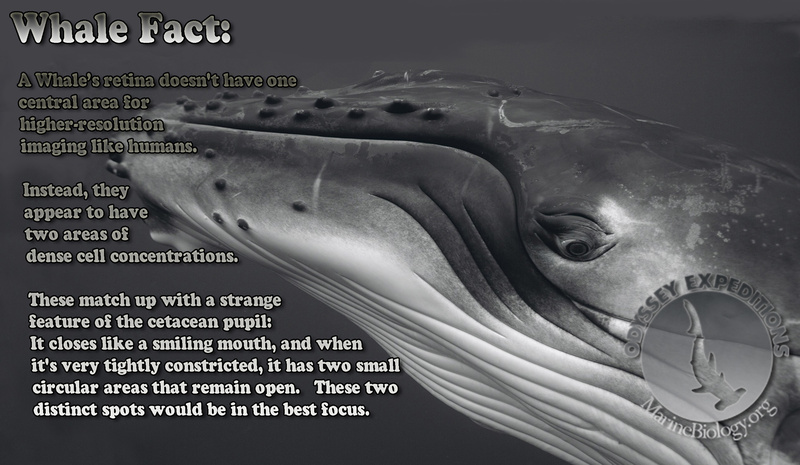 Along with air sacs in the whales’ heads, the structure produces multiple pulses, just fractions of a second apart. Rendell contemplated whether the difference between whale clans was down to genetics. “What are the genetics of these populations? Are these dialects culturally transmitted or genetic?” Rendell and colleagues from the US and Canada analyzed DNA from the sloughed skin of 194 sperm whales belonging to 30 different social groups from three of the vocal clans across the Pacific Ocean. Once the dialects were biologically determined, it was surmised that those sharing the same dialect would have similar genes. Instead, they found that whales with different repertoires of codas are often genetically similar, suggesting that the genetic differences don’t explain clan differences and that dialects must be passed down through the generations. Not only do the clans possess different dialects, they also had different hunting patterns, parenting habits, and reproductive rates. “All the evidence for culture relies on methods of exclusion. It’s very difficult to actually prove cultural transmission,” stated Rendell. “But our finding isn’t consistent with anything other than cultural dialects.”Findings from this research could help influence conservation efforts; instead of solely focusing on the animals’ habitat, protection should also consider which dialect they use. “We hope our finding will get people thinking about conservation, and the idea that behavior in marine mammals is culturally-determined,” Rendell said. 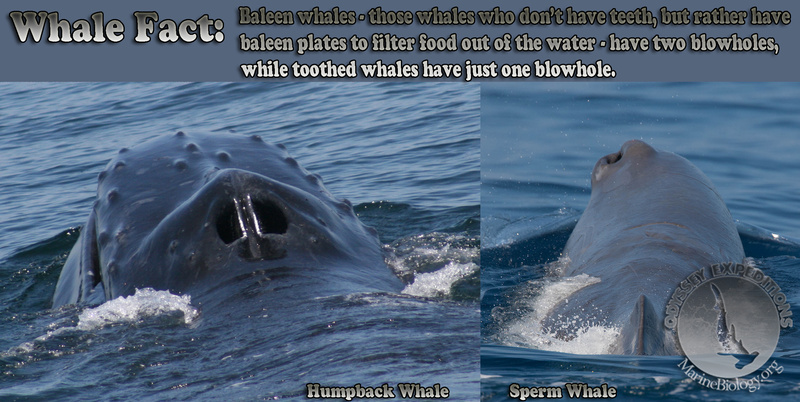 Baleen Whales – those whales who do not have teeth, but rather have baleen plates to filter food out of the water – have two blowholes, while toothed whales have just one blowhole. During the summer Adventure Voyages we occasionally see Atlantic Bottle Nose Dolphins (Tursiops truncatus) in the British Virgin Islands. We have had several dives where the dolphins have stayed and played with dives for 15 minutes. Larger migratory whales visit the BVIs during the winter. The S.E.A voyages in the Grenadines we have seen a pod of Killer Whales (Orcinus orca) that swam for over 30 minutes with the yacht while sailing . We commonly see Short Finned Pilot Whales (Globicephala macrorhynchus) at a distance and we see Atlantic Bottle Nose (Tursiops truncatus) and Spinner Dolphins (Stenella longirostris) that are famous for its acrobatic displays in which it spins along its longitudinal axis as it leaps through the air. 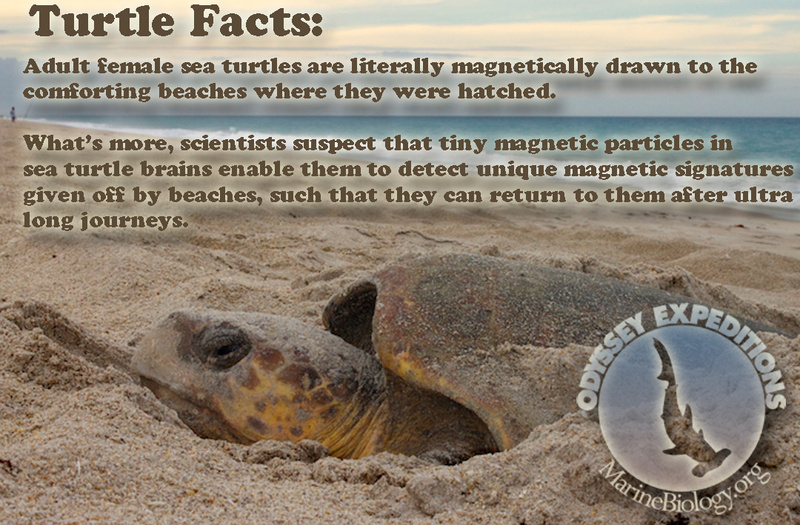 Adult female sea turtles are literally magnetically drawn to the comforting beaches where they were hatched. Sea turtles imprint on the unique magnetic field of their natal beach as hatchlings and then use this information to return as adults. Scientists suspect that tiny magnetic particles in sea turtle brains enable them to detect unique magnetic signatures given off by beaches, such that they can return to them after ultra long journeys. What’s good for mother turtle is good for her adult offspring too, since the latter don’t bother trying to hunt down better beaches. Mom’s choice is the only one.